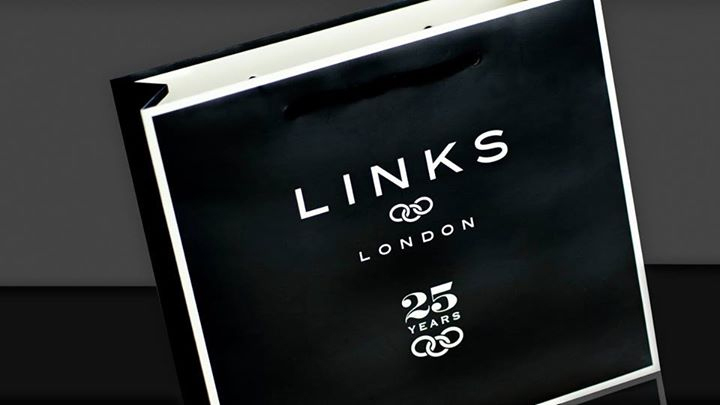 Links of London celebrates 25 Years since it started life with a single pair of men’s cufflinks. Customers will receive this special edition celebration Links bag produced by Keenpac throughout Autumn/Winter 2015. Links of London was founded in 1990 and since the beginning, imaginative design, uncompromising craftsmanship and using the finest materials have remained integral to each new collection, ensuring each piece remains a timeless contemporary classic. Our luxury retail paper carrier bags are hand-finished and custom made to your specification. Finishes include matt, satin or gloss lamination, hot-foil blocking, spot UV, blind embossing or debossing. Or for a touch of class and additional impact, choose a combination. Handles and ribbon closures complete any look, and again the choice is almost limitless. Options include coloured stuffed cotton handles, twill, PP-cord, satin and grosgrain ribbon. Keenpac are product packaging experts with many years of experience in developing ranges for retail packaging. We provide complete support, helping you through each stage of the development process and taking the utmost care to ensure your vision becomes a perfect reality.